These are an exact copy of a 1940s Swing-Era dress shoe and have a suede-bottom sole. The nap on the velvet is very short giving it a suede-like. 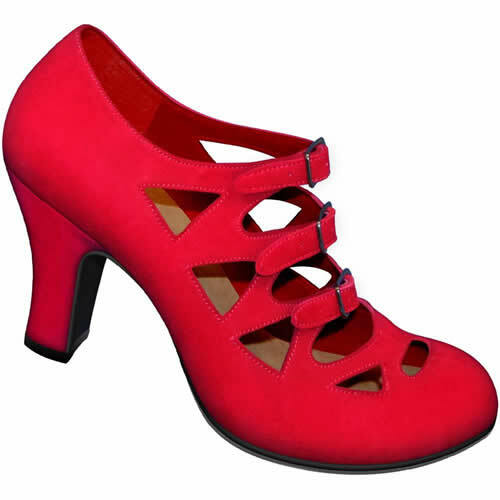 The heels are approximately 3 inches (7.5cm) tall and the base of the heel is 1 inch (2.54cm) wide. Made with flexible suede-bottom soles and heels which are perfect for dancers of all skill levels.